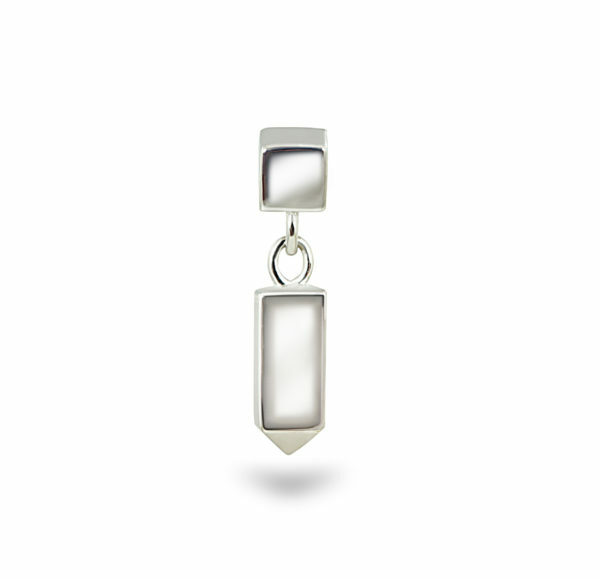 Plain 18k white gold cartilage piercing earring handmade and polished to a mirror shine. 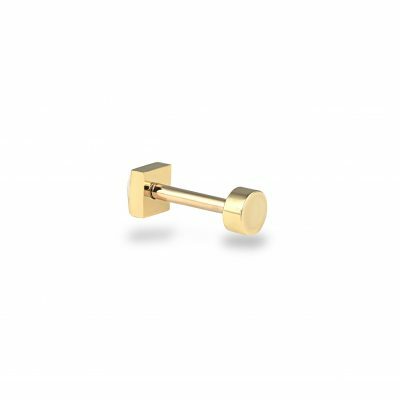 Total gold weight is 0,70 g.
This stud with a blocky spire presents a simple”skyscraper shape” and polished to a mirror shine. 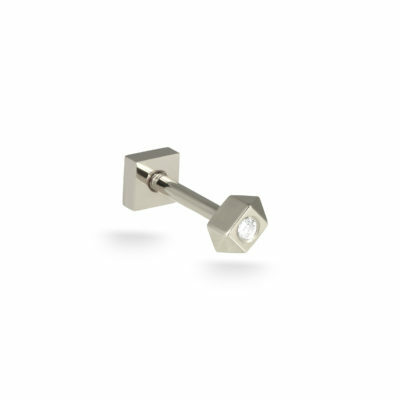 Our pyramid screw backs are solid and have a good weight of 18k gold in order to give the perfect balance between the front and the back of the piercing earrings. 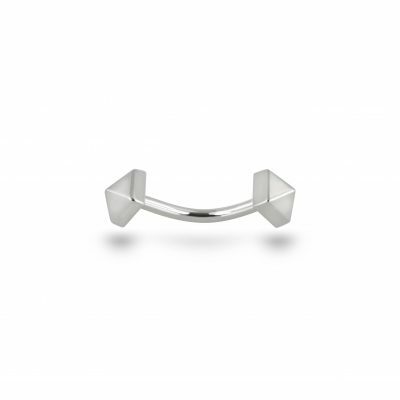 Each pyramid has a bevelled edge to guide the barbell into place. 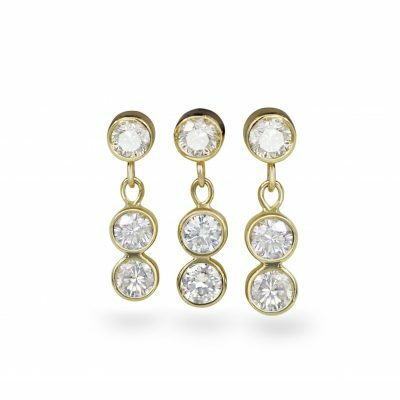 You can wear them in reverse, as pyramid is one the most attractive shape for the earring, beautifully reflects the light on its sides. 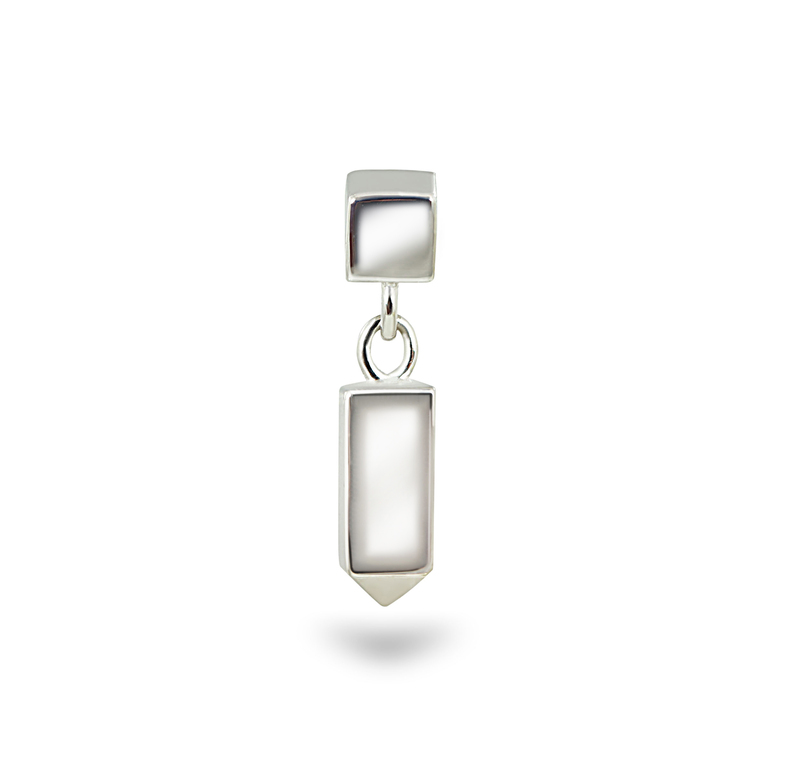 We make our jewellery by hand without the use of ready-made components. This allows us to achieve perfect shape and shine which makes a big difference in the end.